This books is a collection of 21 black&white ornaments I’ve made during a couple of last years that are ready to be printed on your home printer or in a printshop. You can colour them with any media – pencils, markers, paint – it’s totally up to you though I will recommend using something sharp ’cause there are lots of fine details. 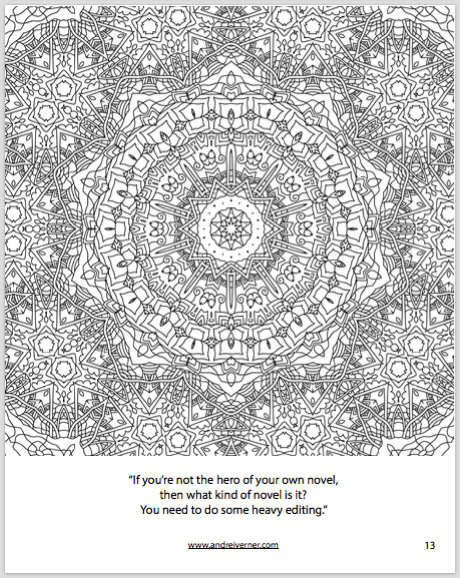 I have also added quotes of Terence McKenna for contemplation during the colouring process. I believe it can be very productive process: focusing on art while thinking of something that most of us do not pay much attention regularly. The illustrations I’ve picked for this colouring book require different level of artistic skill to complete. You can grab a free copy of the pdf file if you subscribe to my newsletter or you can buy it for only $1! I hope you will enjoy it and I will love to see your results! 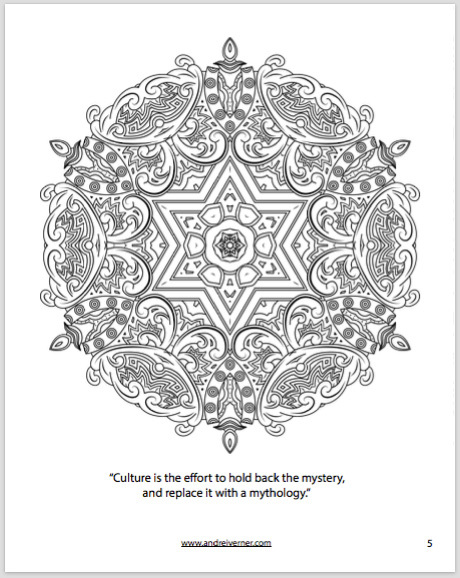 Everyone who adds a hashtag #andreiverner to an Instagram or Facebook post and sends me a link will receive my next colouring book pdf as a present. Here are my Instagram and Facebook pages to keep in touch. Hey guys! Thinking of how to spend a trippy evening? Dive into the artistic process! 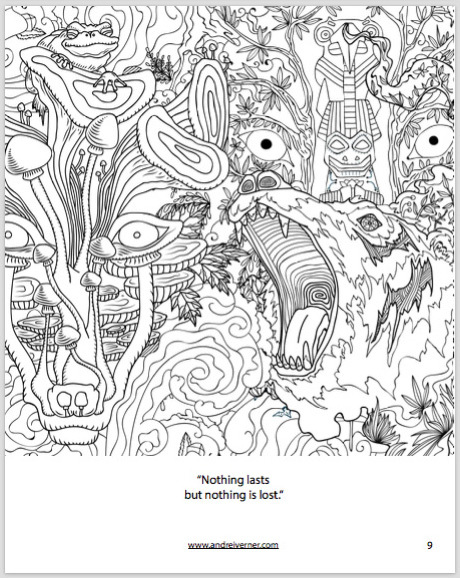 Subscribe to my e-newsletter and get access to pdf-version of my Psychedelic Colouring Book 1. You can print it on your home printer and start colouring right away with pencils, markers and paint! The book contains 21 psychedelic ornaments that require different levels of skill to colour + great thoughts of Terence McKenna to contemplate on while you are colouring. + You will get constant updates from my web-site such as new blog posts and new products in my shop.